This Feiss Payne 2 LED bathroom wall light in polished chrome with opal glass shades and rated IP44 features updated Tudor style, with clean minimalist design and spun metal detailing. Square polished chrome mount, with circular inset, stepped spun shade fitter and two opal glass cylinder shades with chrome end caps. The supplied LED lamp bulbs shines through the opal glass shades for an all-round softer light. Can be mounted horizontally or vertically, over or alongside a mirror. This stylish light is supplied by Elstead Lighting and designed in the USA by Feiss, founded in New York in 1955. 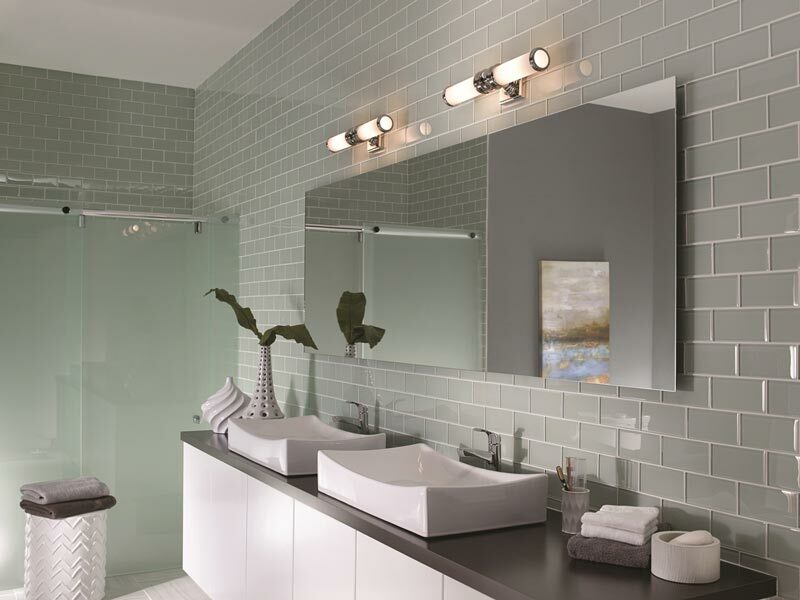 They have become well known over the years for their contemporary yet classic styling, quality and great original designs like the Payne 2 LED bathroom wall light in polished chrome with opal glass shades and rated IP44 you see here.